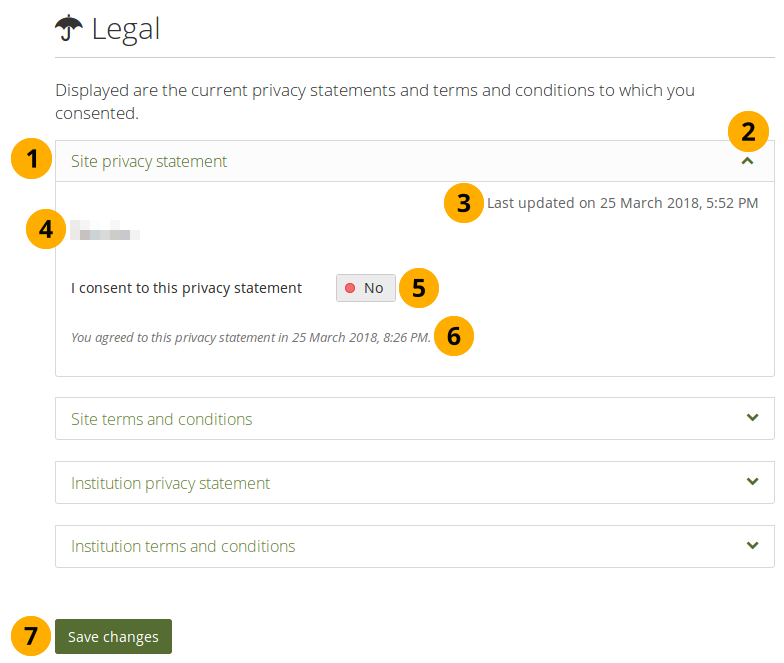 If “Strict privacy” is turned on for the site that you use, you must decide whether you consent to the statements or not. Your previous decision of consent is displayed. If you do not consent to the text anymore, e.g. because it was updated with unfavourable terms, flip the switch to “No”.